You will be transferred to the airport for your homeward flight. 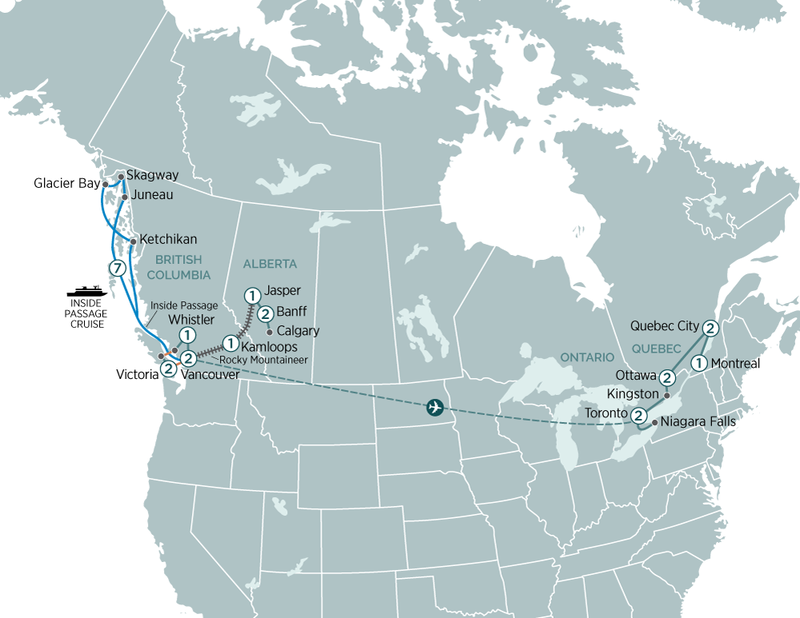 From Victoria to Montreal, embark on a journey which encompasses the best of Canada & Alaska including Lake Louise, Banff, Glacier Bay, Toronto & more. Visit some of Canada's most amazing destinations over 25 days including Jasper & Banff National Parks, Whistler, Toronto, Québec City & Athabasca Glacier.